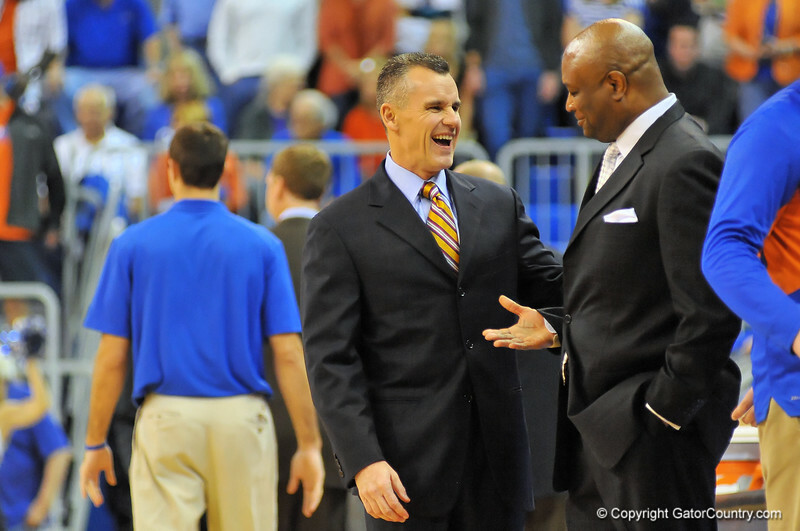 Florida Gator head coach Billy Donovon and Florida State Seminoles head coach Leonard Hamilton greet before the game. Florida Gators vs Florida State Seminoles. Gainesville, FL. November 29, 2013.